Gander is a town located in the northeastern part of the island of Newfoundland in the province of Newfoundland and Labrador, approximately 40km south of Gander Bay, 100km south of Twillingate and 90km east of Grand Falls-Windsor. Located on the northeastern shore of Gander Lake, it is the site of Gander International Airport, once a key important refuelling stop for transatlantic aircraft, and still a preferred emergency landing point for aircraft facing on-board medical or security issues.Most of the streets in Gander are named after famous aviators, including Alcock and Brown, Amelia Earhart, Charles Lindbergh, Eddie Rickenbacker, Marc Garneau and Chuck Yeager.HistoryGander was chosen for the construction of an airport in 1935 because of its location close to the northeast tip of the North American continent. In 1936, construction of the base began, and the town started to develop. 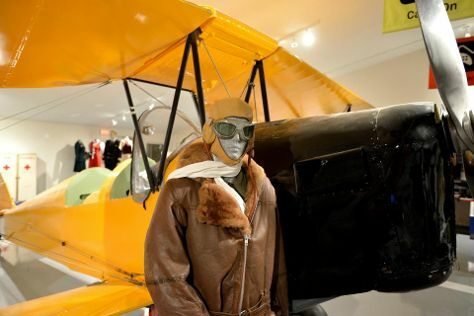 On January 11, 1938, Captain Douglas Fraser made the first landing at "Newfoundland Airport", now known as Gander International Airport, or "CYQX", in a single-engine biplane, Fox Moth VO-ADE. Gander is in Newfoundland. Make the most of your holiday in Gander by finding out about its attractions and choosing what to see using our Canada trip maker tool .